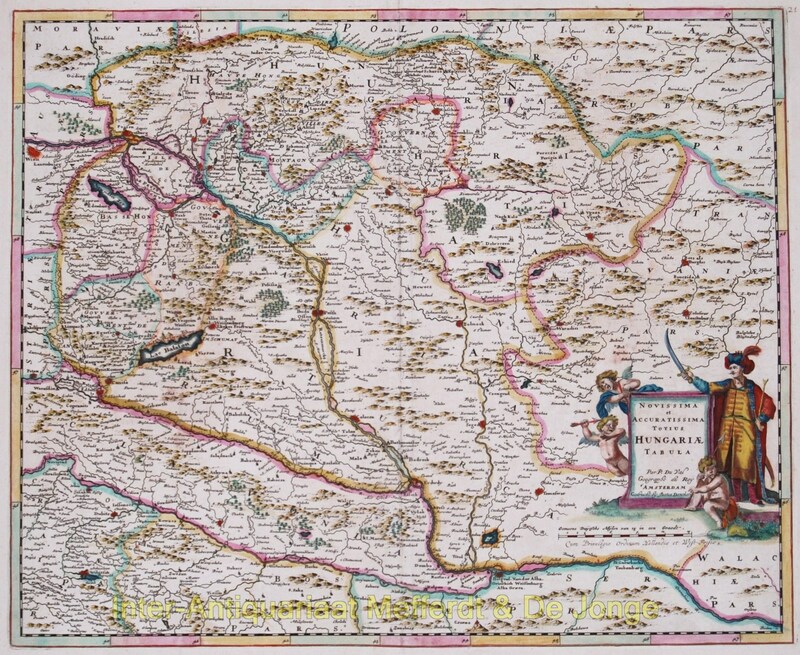 Nice map of Hungary after the work of Pierre Duval [1618-1683]. Duval was born in Abbeville (France) and moved to Paris along with other Academics and intellectuals at the urging of the French King. Here he eventually became Geographe Ordinaire du Roy. In that position he produced a large number magnificant maps. Published by Justus Danckerts 1684. Original hand colouring. Size: 39,6 x 48,2 cm.